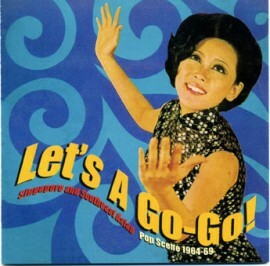 AMAZING comp of Asian '60s EPs similar to "Girls in the Garage Vol 9" and the upcoming "Chinese Rocks" comp and includes 28 clazy tlacks by Rita Chao, Dara Puspita, The Bees, Patrina, Hai Fei, The Dee Tees, The Crescendos, Leroy Lindsay wiht The Mysterians, Rock Teoh, The Blue Beats, Charlie and his Go-Go Boys, M. Ishak Dengan Five-55, The Quests, S.K. Pauline, Betty Chung, Logus Liew, Orkes Tropicano, Ismail Haron & The Guys, Teresa Khoo, The Spacemen, The Mysterians and The Tones. Plenty of that surfy exotic guitar that is the signature sound of these records!